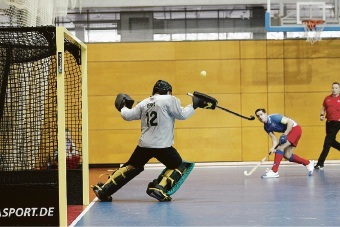 THREE indoor hockey players from Hale Hockey Club have booked their spot in WA state team at next year’s Indoor Australian Championships in Wollongong, New South Wales. Hale’s 2010 premiership stars goalkeeper Ben Rennie of Wembley Downs and Matthew Claxton of Mt Lawley were selected in the WA open men’s team, which will compete from January 5 to 8. Meanwhile, Goomalling resident Shanae Haywood will represent the under-15s girls’ team from January 21 to 25. Haywood (14) was part of the WA under-15s squad for the 2015-16 season and competed in the 2016 under-15s Indoor National Championships where she scored three goals in eight games.